Take care of your pets and your home with smart dog collars and vacuums specifically designed to remove pet hair from furniture and floors. 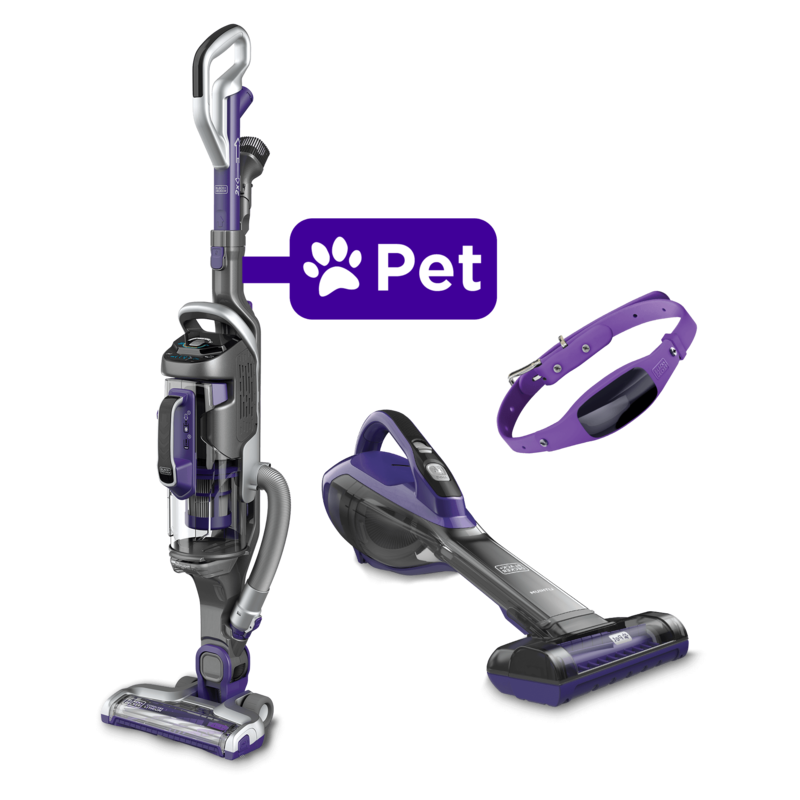 Enter for a chance to win and share a pic of your precious pet. Enter for one chance to win a pet prize pack worth over $400! Just fill out the entry form below. And because we love animals so much, we’d love for you to upload a pic of your pet. NO PURCHASE NECESSARY TO ENTER OR WIN. A PURCHASE WILL NOT INCREASE YOUR CHANCE OF WINNING. See Official Rules. Enter 1/22/19 12PM Eastern Time (ET) - 2/22/19 11:59PM ET. You must be USA legal resident, age 18+ to enter. Employees (and their immediate family members and members of same household, related or not) of BLACK+DECKER, Stanley Black & Decker, Inc., Pancake Laboratories, Inc., Giveaway prize provider and respective affiliates are not eligible to enter. 1 entry per person. 5 winners; 1 prize per winner. Odds of winning depend on total # of eligible entries. Void where prohibited. Sponsored by BLACK+DECKER®, Towson, MD.